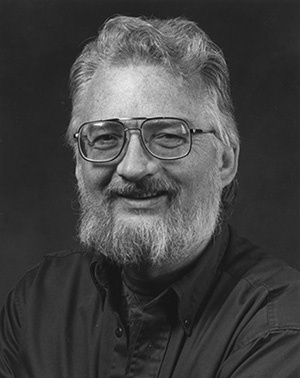 Terry Schalk, adjunct professor emeritus of physics at UC Santa Cruz, has been awarded the distinction of AAAS Fellow by the American Association for the Advancement of Science (AAAS). Election as AAAS Fellow is an honor bestowed upon AAAS members by their peers. Schalk, who is affiliated with the Santa Cruz Institute of Particle Physics (SCIPP) at UCSC, was recognized for "leadership in high-energy particle physics and astrophysics computing as well as for outstanding outreach efforts toward middle and high-school students." Schalk's research interests include the search for new fundamental particles and the study of dark energy and dark matter. He has been very active in all aspects of the computational issues associated with data analysis in high-energy physics. His work in this area has included chairing the annual conference on Computing in High Energy Physics, participating in major computing review committees, and managing large software groups. He is currently working with the 3200 megapixel camera for the Large Synoptic Survey Telescope (LSST). Schalk has also been actively involved in the SCIPP Outreach Program, which brings science activities and demonstrations to high school and middle school students throughout the region. These outreach activities have included tesla coil demonstrations at schools, a Balloon Fest weekend when students launch scientific balloons, summer internships for high school students, and summer workshops for high school teachers. The tradition of AAAS Fellows began in 1874. This year 396 members have been awarded this honor by AAAS because of their scientifically or socially distinguished efforts to advance science or its applications. New fellows will be honored during the 2018 AAAS Annual Meeting in Austin, Texas, in February. The American Association for the Advancement of Science (AAAS) is the world's largest general scientific society and the publisher of Science and related journals. AAAS was founded in 1848 and includes nearly 250 affiliated societies and academies of science.